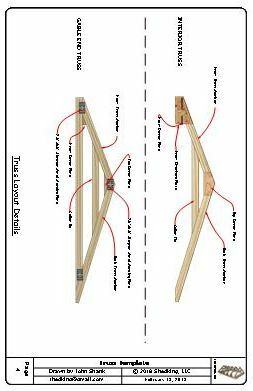 Use these 8ft. 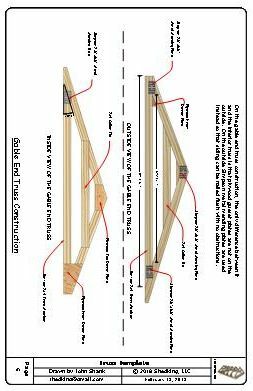 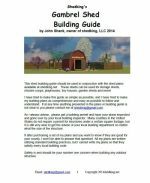 saltbox shed truss plans to build a shed that can be used for a storage shed, she shed, garden shed, chicken coop, playhouse and more. 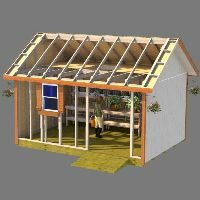 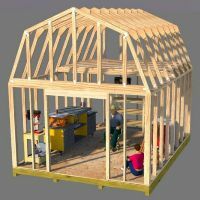 The plans come with details on building interior trusses and gable end trusses, along with a link to view a sample saltbox shed roof framed with the trusses shown here in 3d and virtual reality. 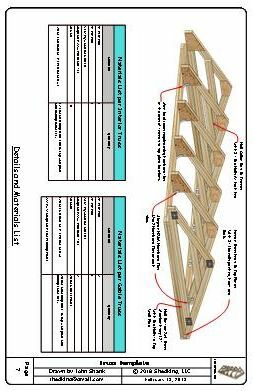 Also included is a materials list for each of the interior and gable end trusses. 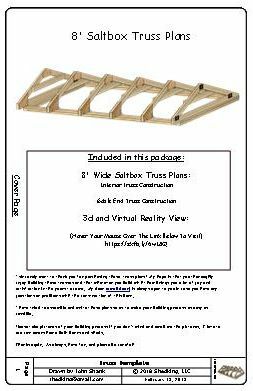 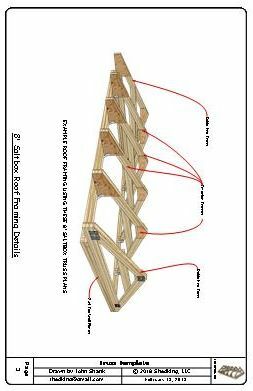 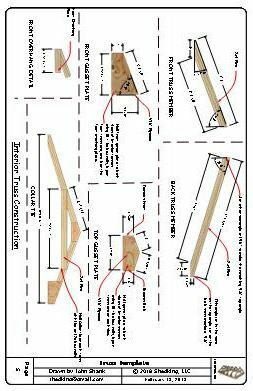 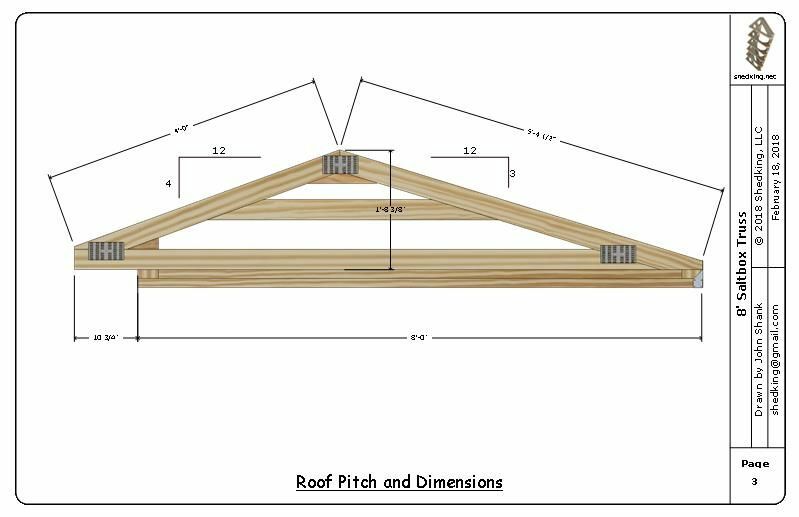 These 8' saltbox shed truss plans can be purchased below for $5.00 through paypal. 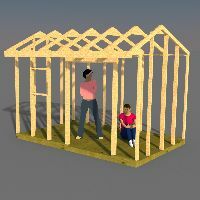 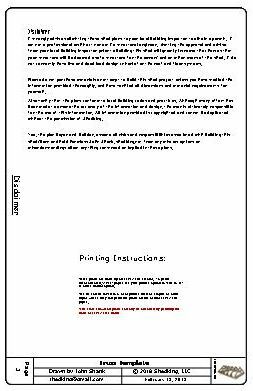 Immediately upon purchasing, you will receive a link to download the plans. 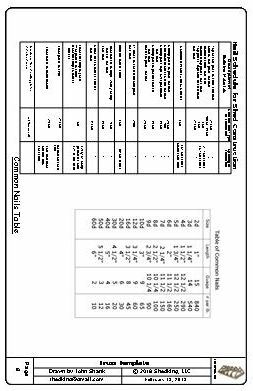 Please contact me if you have any problems or questions regarding your purchase.